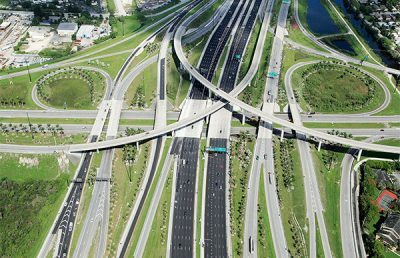 RS&H is providing design services to widen I-95 from SR 44 to I-4 by adding fifth and sixth lanes within the existing median. The existing pavement will be milled and resurfaced, and the interchange at SR 421 will be reconstructed. 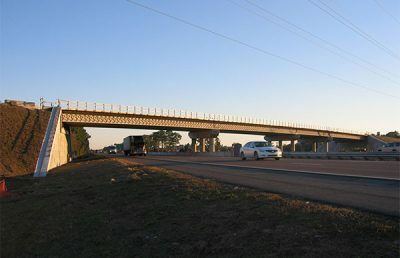 The length of the project totals 10.4 miles. 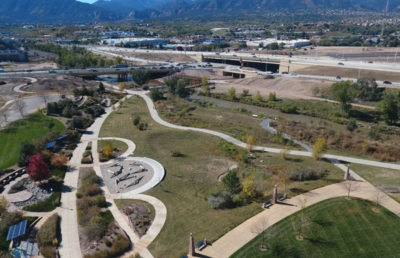 In order to treat the additional impervious area, the team provided wetland stormwater management systems in the median wetlands. 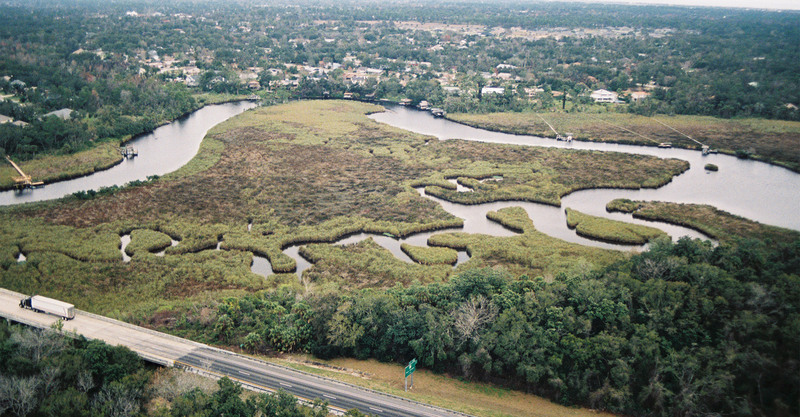 These systems and outfall structures were designed to retain the biological and hydrologic features of the existing wetlands, thus reducing the actual impact to the wetlands. 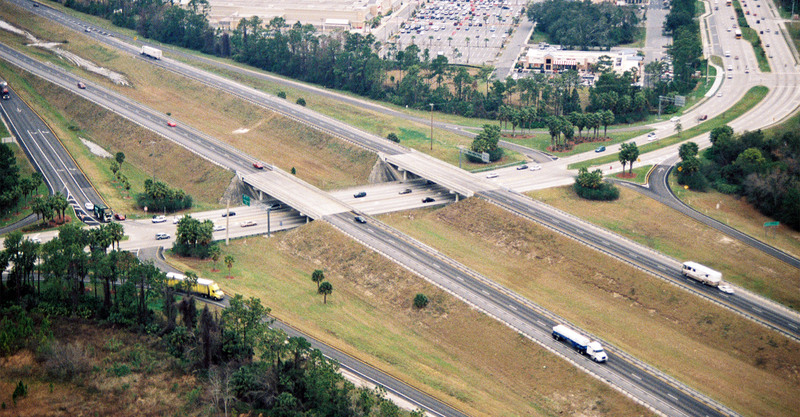 The team also designed dry retention ponds in the interchange infield areas and the existing abandoned rest areas along I-95. The recovery analysis for the dry retention ponds was completed with the use of PONDS version 3.2. 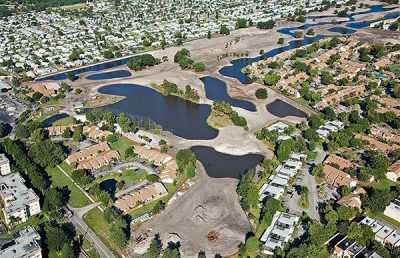 The dry retention ponds and median wetland areas virtually eliminated the need for expensive off-site ponds, proving to be the least expensive alternative with fewer impacts to the wetlands and the surrounding environment. All stormwater management facilities ultimately discharge to Spruce Creek or the Tomoka River, both of which are classified as Outstanding Florida Waters by the Department of Environmental Protection. 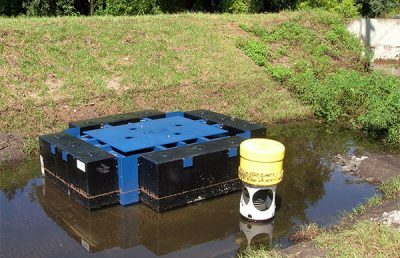 The additional treatment volume requirements for these basins were included when modeling the stormwater management facilities with ICPR. The existing cross drains and box culverts throughout the project were extended to accommodate the additional travel lanes and to be compliant with clear zone criteria. 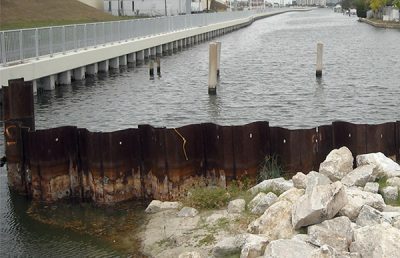 The existing and proposed drainage patterns within the project area do not separate on-site runoff from off-site runoff. 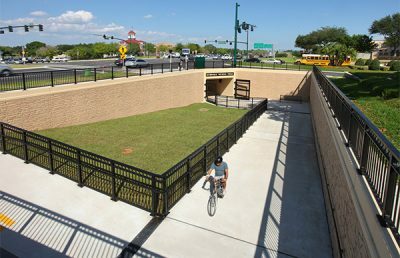 Therefore, the cross-drains and culverts were integrated into the ICPR model used to design the stormwater management facilities. 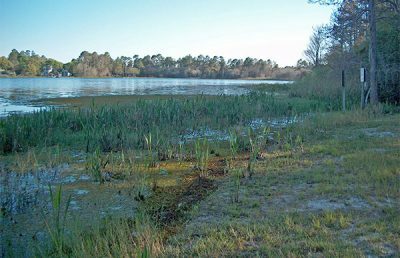 An Individual Environmental Resource Permit was obtained from St. Johns River Water Management District and an Individual Section 404 Wetlands Permit was obtained from the U.S. Army Corps of Engineers. 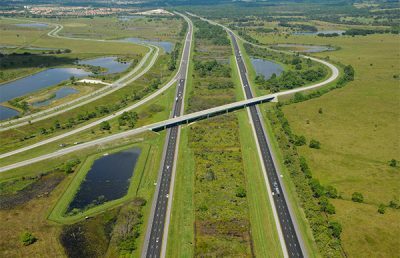 RS&H provided design services to widen I-95 from SR 44 to I-4 by adding fifth and sixth lanes within the existing median. 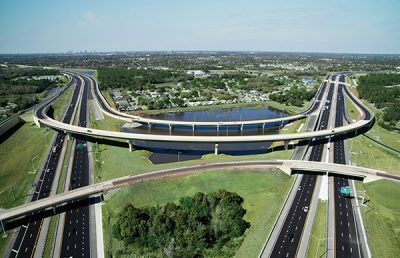 Additionally, twin bridges over Spruce Creek are being replaced and new stormwater treatment areas introduced to the existing median. 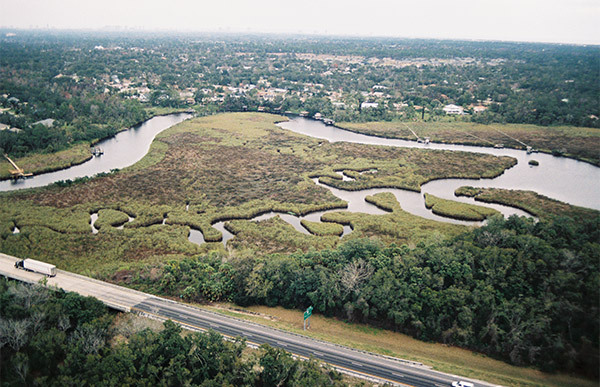 The Spruce Creek watershed area totals 29.4 square miles. Utilizing SMS and RMA2, a two-dimensional hydrodynamic model of Spruce Creek was created to demonstrate that the water surface elevation in the creek will not rise due to the proposed bridge structures, as well as to analyze the scour conditions at the proposed bridge locations. 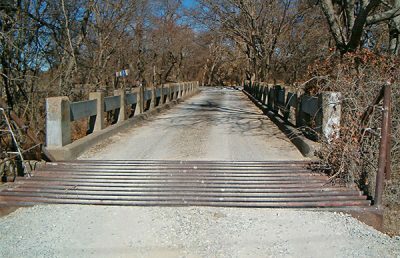 RS&H completed a Bridge Hydraulics Report and a No-Rise Certification Report for FEMA since Spruce Creek is in a regulatory floodway. 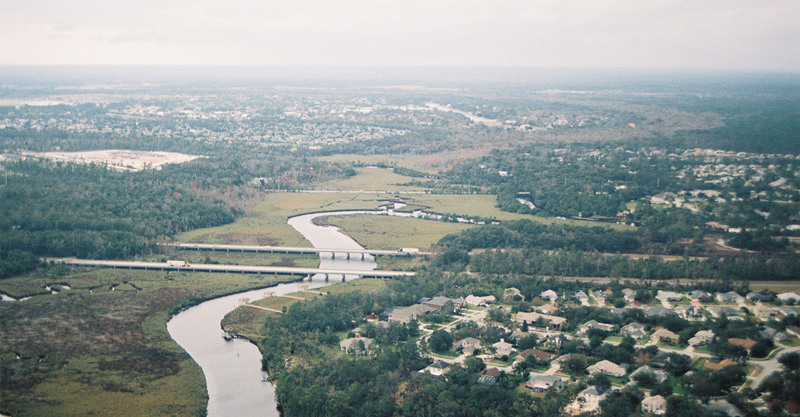 Spruce Creek was also analyzed from its intersection with Pioneer Trail to the Atlantic Ocean, approximately 20 river miles, and a combination of HECRAS and SMS was used to model the entire project area. Data was collected from FEMA’s Flood Insurance Study for Volusia County, LiDAR data, topographic survey and cross sections of Spruce Creek, existing construction documents and site visits. The completed model was then used to determine to scour conditions at the proposed bridge locations in order to anticipate the necessary abutment scour protection.